Floats are used to assist in preparing the surface for troweling, or if a float (rough) finish is desired, floating is the final operation. 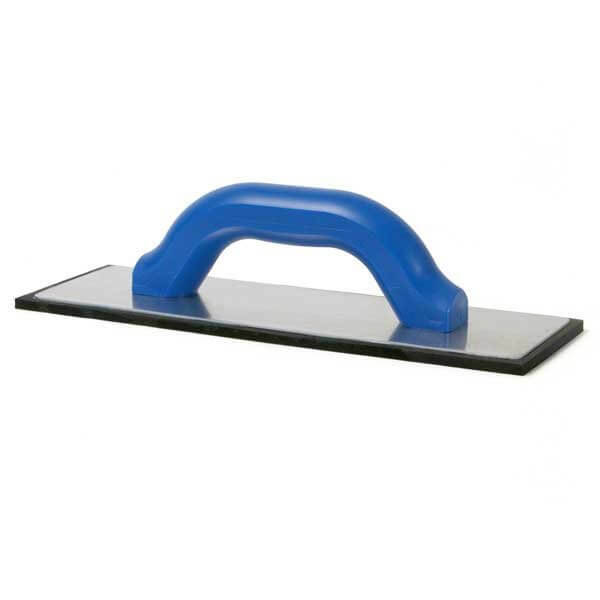 This rubber float has a molded black rubber pad that is very comfortable and has a dense texture. The float face is permanently cemented to the lightweight aluminum backing. The plastic handle is both comfortable and durable. This is an ideal float for bringing sand to the surface. Floats are made of aluminum, magnesium, wood, cork and rubber. The best selling sizes are 30.5 X 12.7 cm (12 X 5 inches).